Recently I was asked to help with our church Cub Scout pack’s annual Pinewood Derby. I also volunteered a woodworking friend of mine, Ray, and on a Tuesday night we had 8 Cubs and Dads come to my shop to cut out their cars. The Cubs aren’t allowed to use power tools so Ray, the Dads and I did the cutting with a small nine- inch bandsaw and then used a belt sander. The Cubs had drawn out their designs on the wood blocks so we just followed their outlines. The Cubs took the car bodies home to do more sanding, painting and decorating. 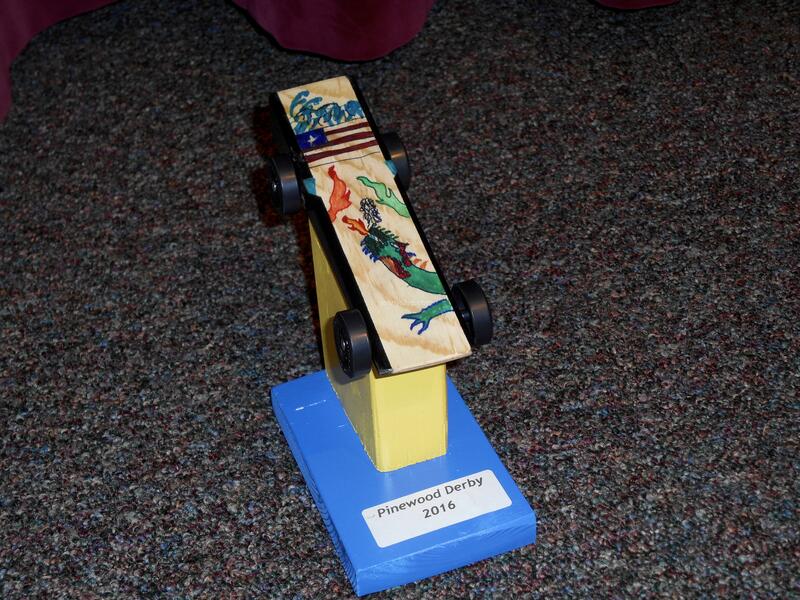 I had been involved in Pinewood Derby before so I knew that each Cub needed to take home a trophy, having been judged on racing and craftsmanship. In the past, I had seen, somewhere, an idea to make trophies out of 2×4 and 1×6 lumber. The base would be made from a four-inch length of 1×6 pine. 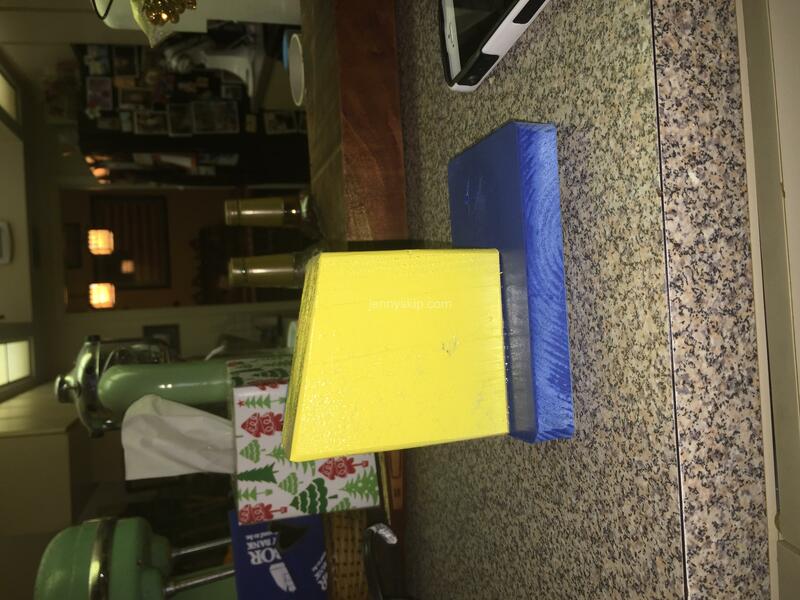 The rest of the trophy was cut from a four-inch length of construction 2×4, with one end cut at a slight angle. The bases were sanded, primed and painted blue. 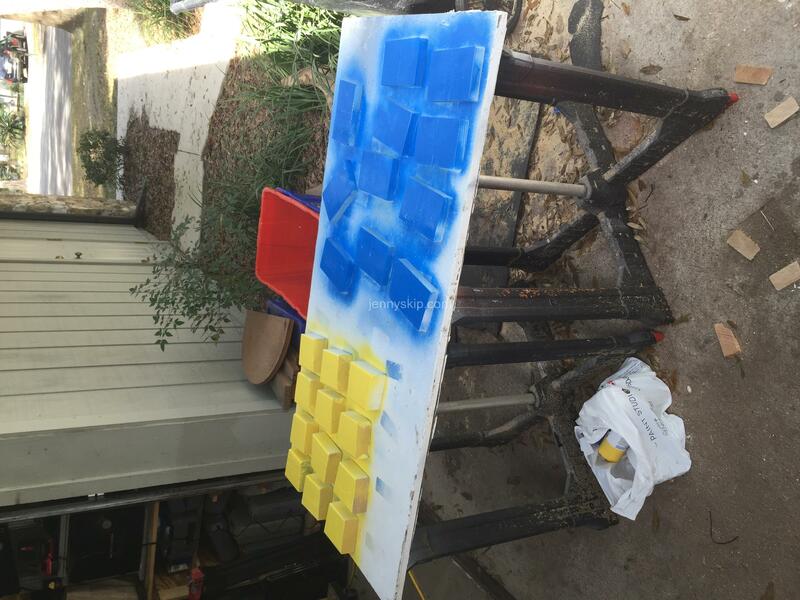 The 2×4 was sanded, primed and painted yellow. When the paint was dry, the base was predrilled to accept wood screws which were used to fasten it to the 2×4. The Pack Master fashioned labels with the pack number to stick to the bases. 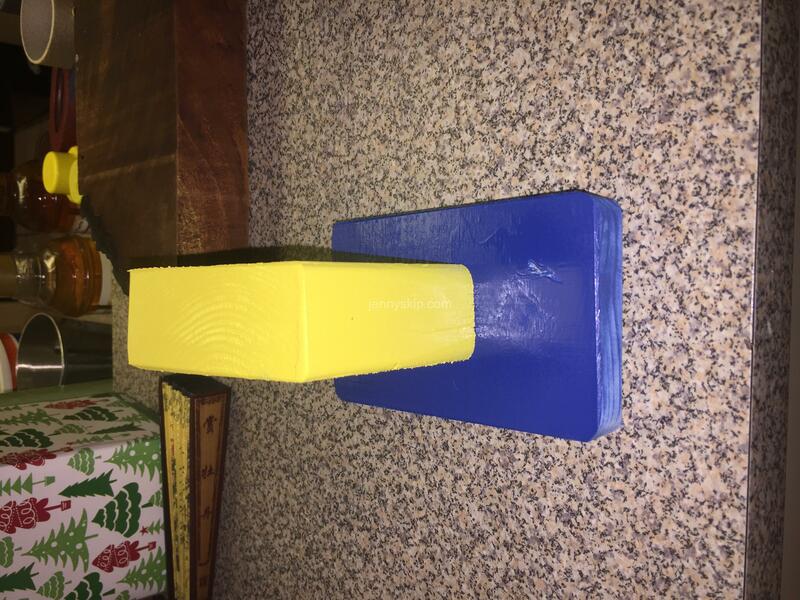 The angled cut on the end of the 2×4 allowed the Cub Scout to display his car on the trophy. Then the race was on!! Cheering was somewhat subdued because the Cubs found a dish of brownies and their mouths were full.